The European debt crisis is so confusing, it’s like Greek to me. lol 😀 As of yesterday Greece became the first developed country to default to the International Monetary Fund (IMF) to the tune of €1.6 billion. Overall Greece owes about €300 billion to all its creditors. A referendum in Greece will be held this upcoming weekend to decide if the Greek people would like to stay in the European Union and continue using the Euro, or exit the EU and revert back to their old national currency. What happens next is the million-euro question. A Greece exit (Grexit) should not have a large direct impact on other countries. But here are some lessens we can take away from the predicament facing Greece right now. The latest employment numbers just came out for May and it’s very neutral. Our unemployment rate remains unchanged from last month at 7.3%. Taking a closer look at the numbers however we see that unemployment in BC actually jumped up from 6.2% to 7.4%. Unfortunately if you are looking for work in Vancouver, it is statistically harder for you to find a job now than the month before. But don’t give up. The next big opportunity could be right around the corner. Just have to keep looking. Plus at least we’re nowhere close to what Europe is going through right now. 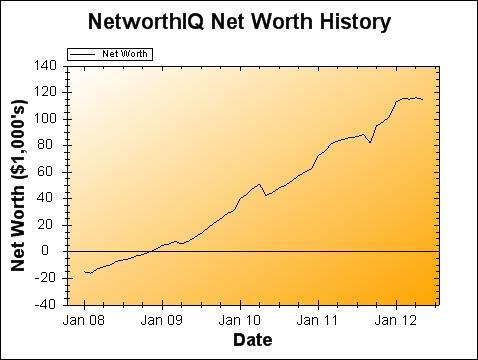 My net worth hasn’t really moved much in the last 3 months. But the stock market index has dropped more than 10% since March. I think this might be the buying opportunity of the year. I already invested almost $6,000 so far in June. If the market continues to slide down I will buy another $10,000 of stocks. If it goes down even further, I’ll invest another $15,000. At some point in the future the market has to recover so the lower it dives the more I’ll invest. It sounds like a risky strategy but doesn’t it make sense from a long term investment point of view? Maybe not, I don’t know. Let’s see if Greece and Spain can sort themselves out first. Time to print some Euros and make money out of thin air.